86th Academy Awards | Full list of Oscars 2014 winners - Balita Boss! 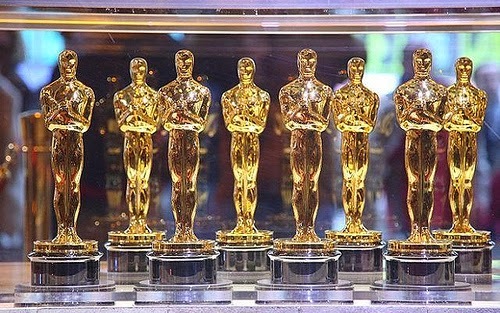 Winners for the 86th Academy Awards or the Oscars 2014 announced Sunday, March 2 at Dolby Theatre in Hollywood, Los Angeles. Comedian, television host and actress Ellen DeGeneres hosted the show. Check out the full list of Oscars 2014 winners below. Space thriller “Gravity” dominated the awards night by winning seven Oscars including best director for the film, best visual effects, cinematography and original score. The film “12 Years a Slave” won the biggest prize for best picture at the 2014 Oscars. “Gravity” director Alfonso Cuaron was named Best Director at this year’s Academy Awards. Nomination recinded: The song "Alone Yet Not Alone" from "Alone Yet Not Alone" was originally nominated for later removed from the list it was discovered that musician Bruce Broughton emailed members of the group's music branch to make them aware of the submission during the nominations voting period, a move Academy President Cheryl Boone Isaacs, Academy President said "creates the appearance of an unfair advantage."